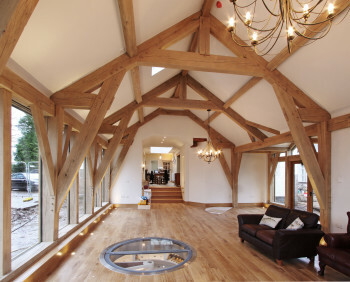 A truly amazing project that delivers both style and function with a touch of opulence. 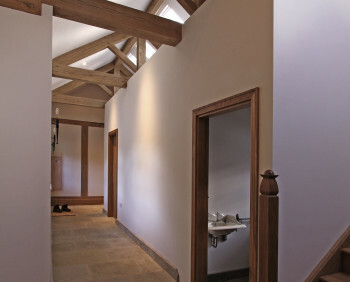 An arts and crafts style home set in beautiful countryside with large gardens, next to a lake required extending to create a large family dining room, home office, double garage and ancillary space. 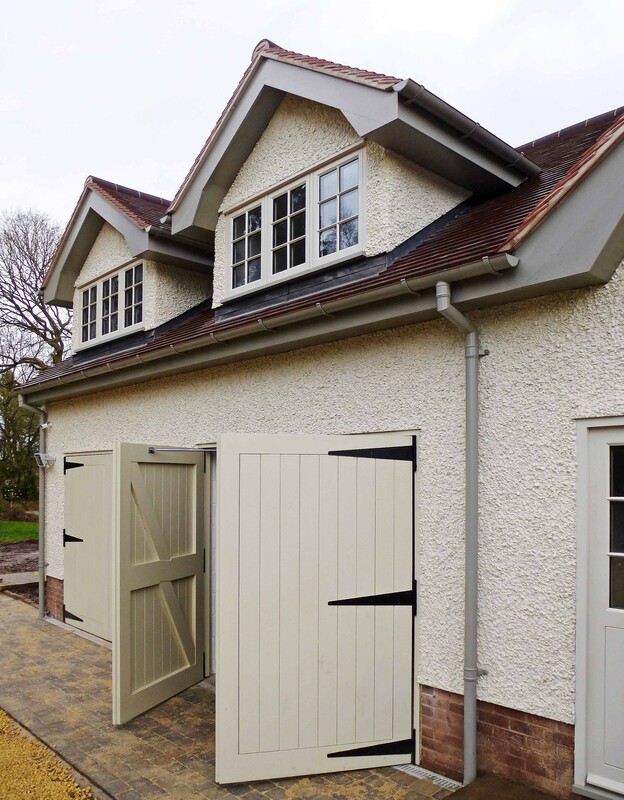 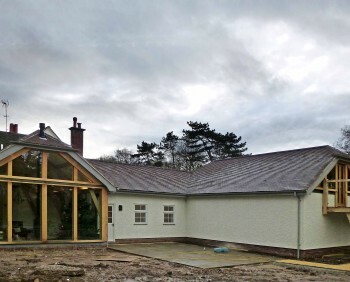 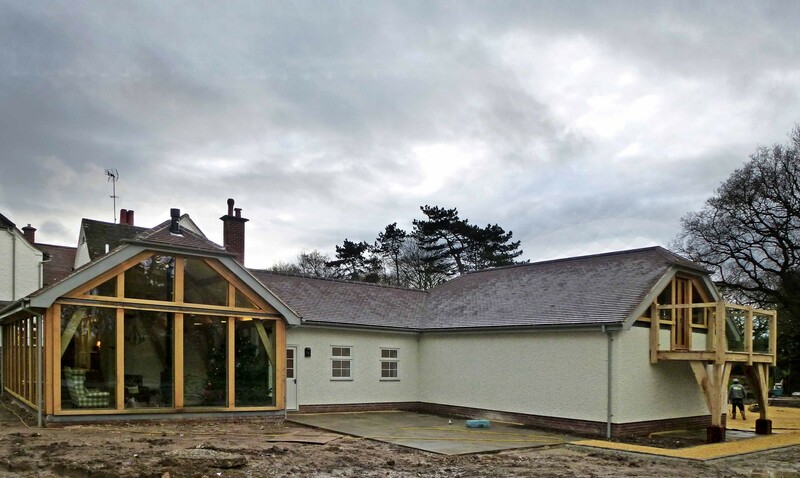 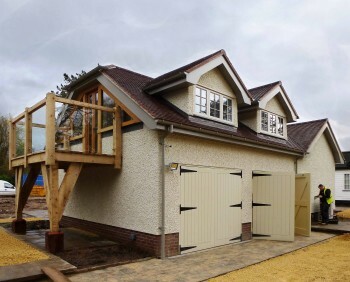 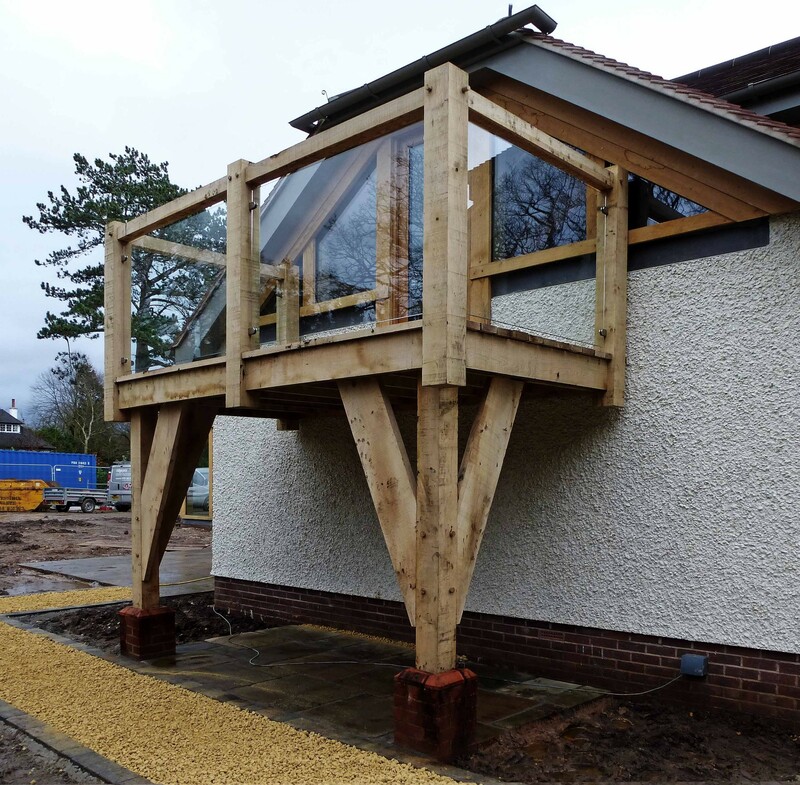 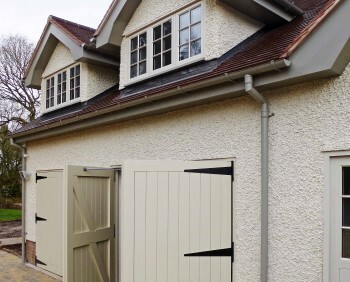 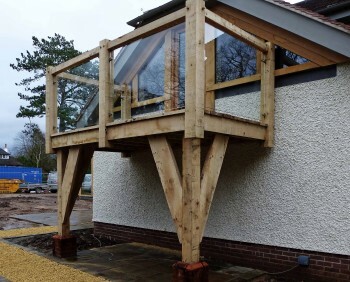 This is a traditional hand built oak framed building, infilled with glass to key elevations so the views can be fully appreciated, along with a stone render finish and clay roof tiles to match seamlessly with the original building. 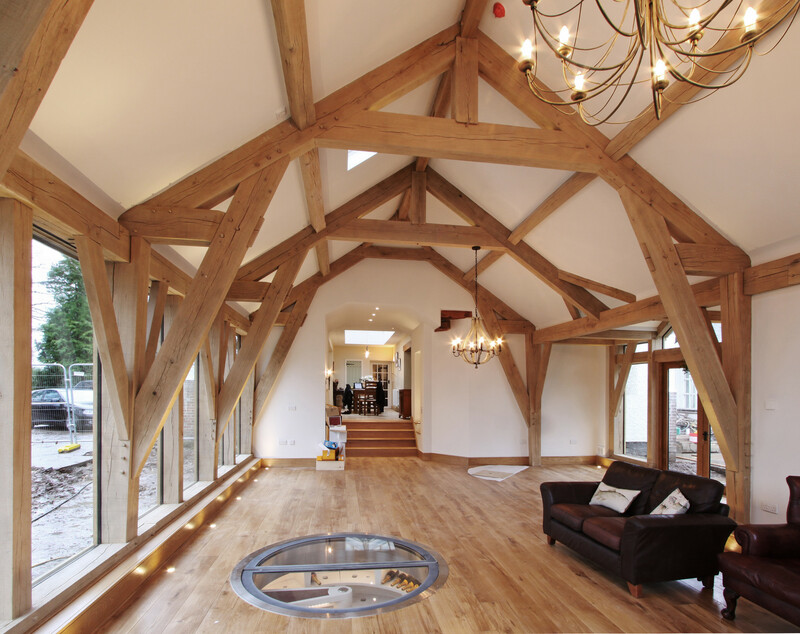 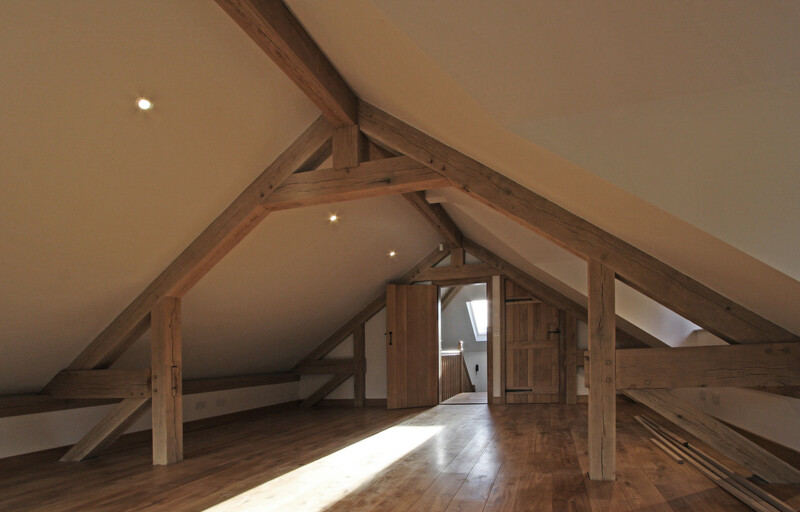 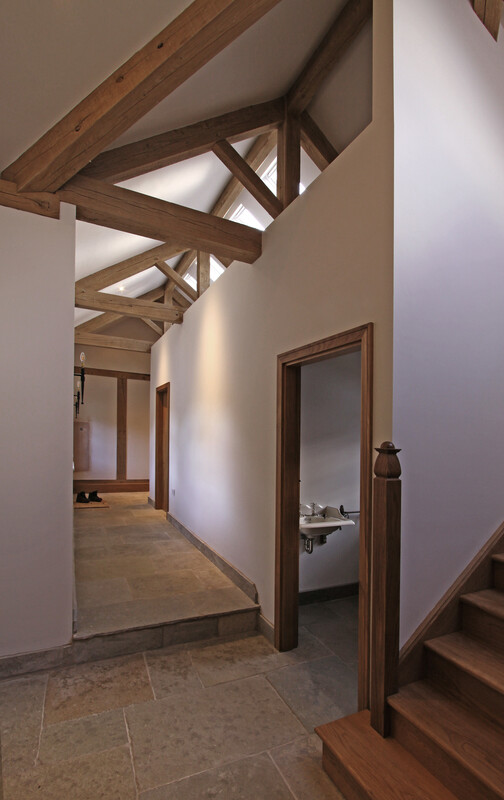 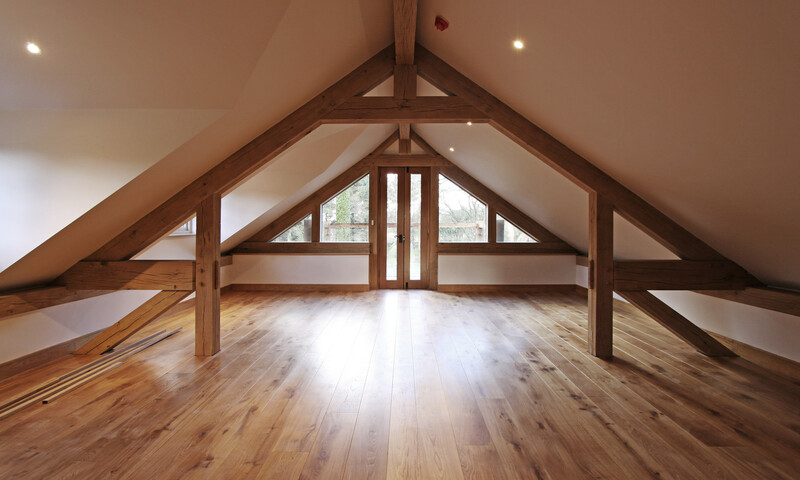 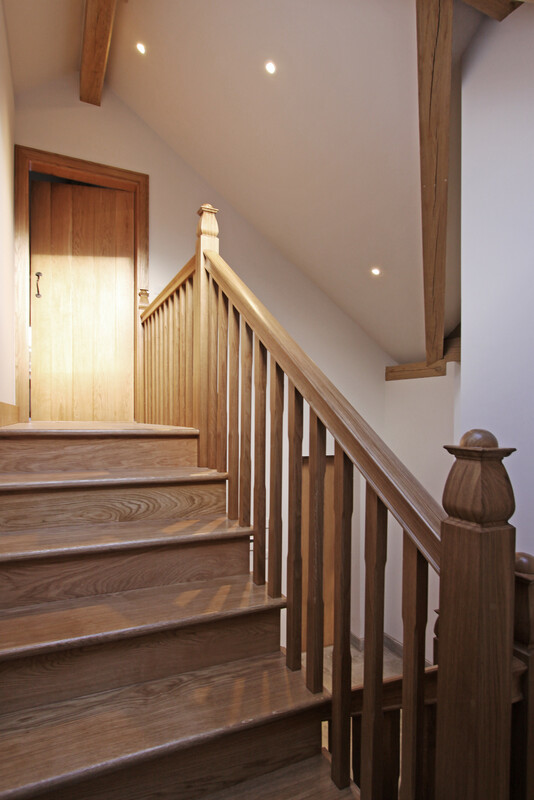 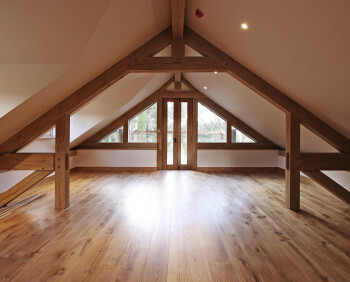 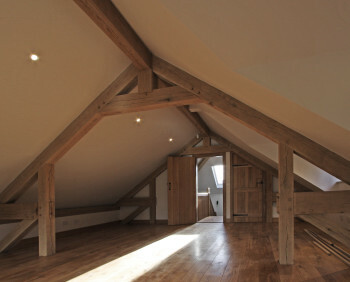 Natural light is a key feature and enhances the oak beams on display and oak finishes throughout. 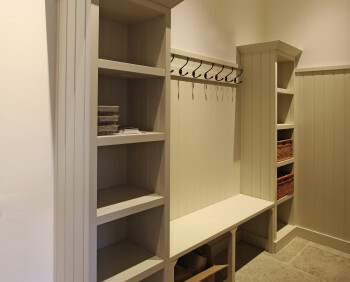 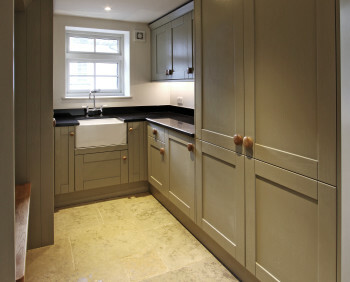 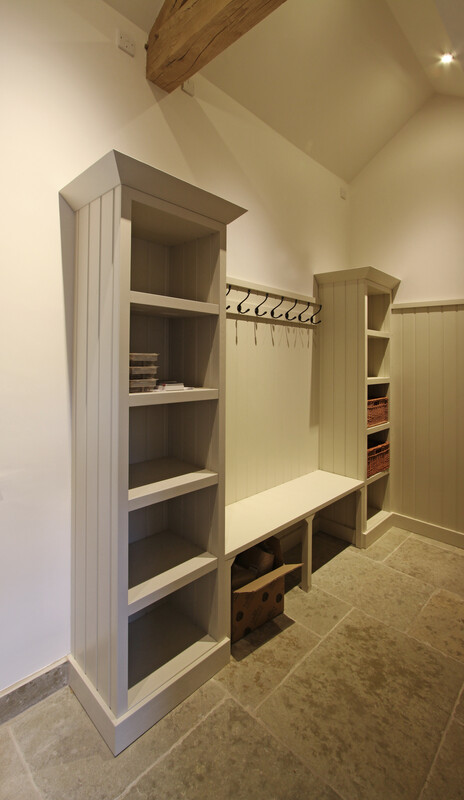 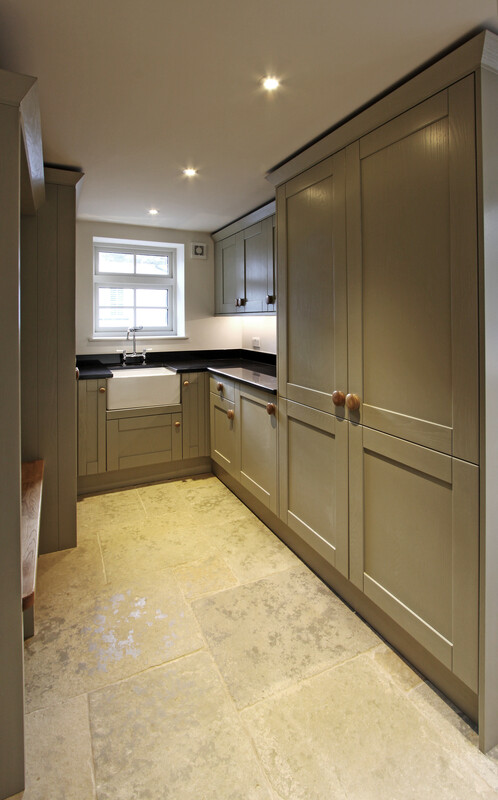 A fully fitted bootroom and utility room provide functionality yet beautifully finished. 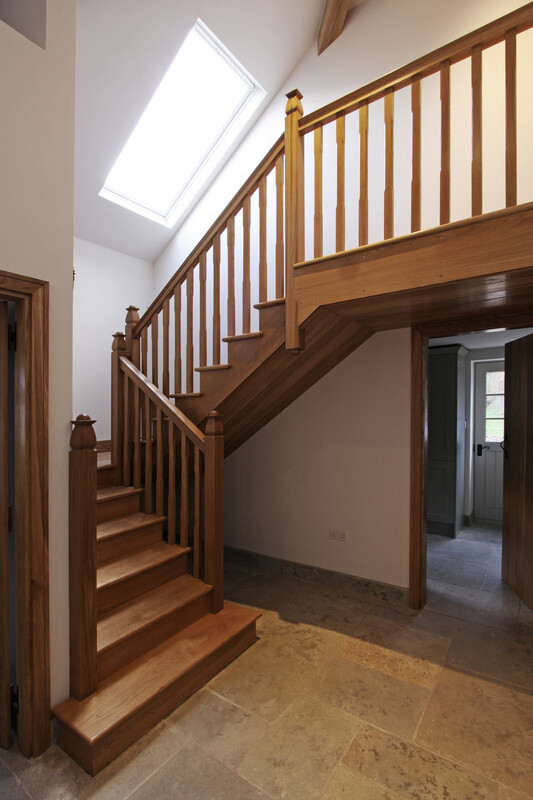 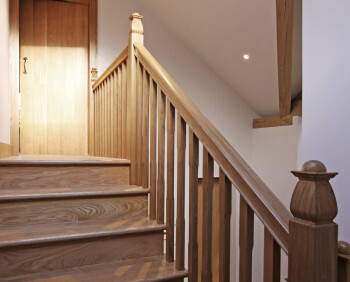 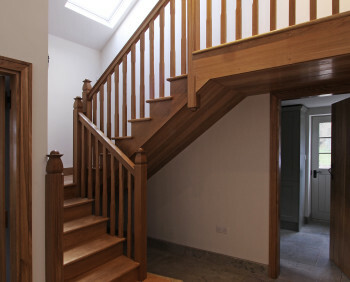 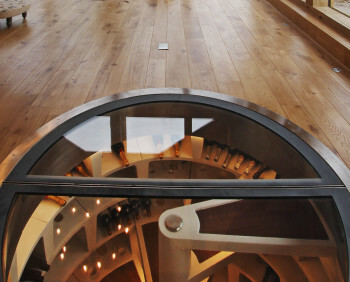 A handmade solid oak staircase leads to the first floor office space, which opens out onto a balcony of green oak and glass. 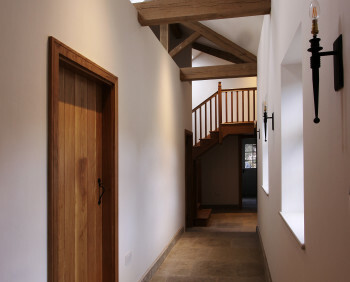 The main dining room is impressive with high ceilings, oak detailing, a wine cellar and access to the walled garden. 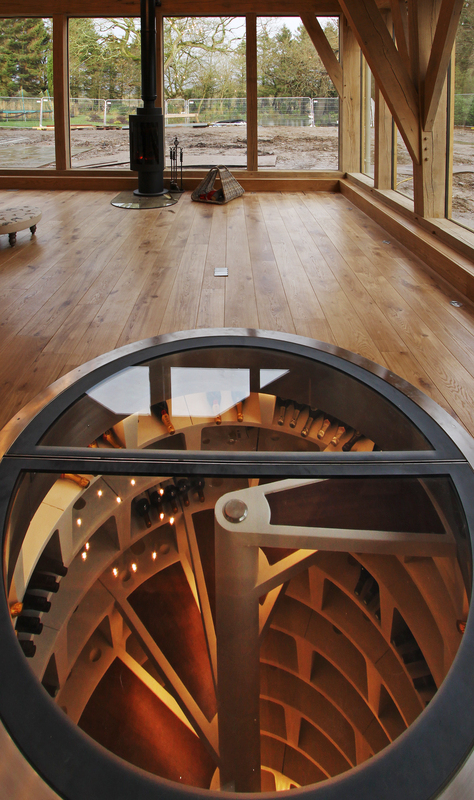 There is underfloor heating throughout powered by an air-sourced heat pump. 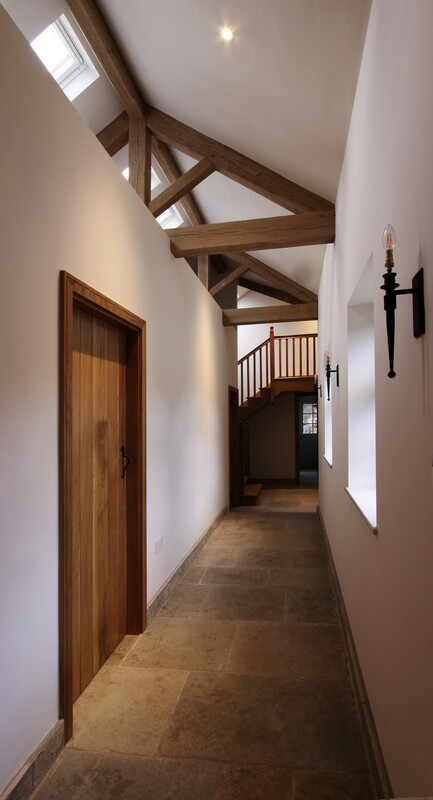 It was a real pleasure to work with the clients and the design team to deliver this magnificent project.